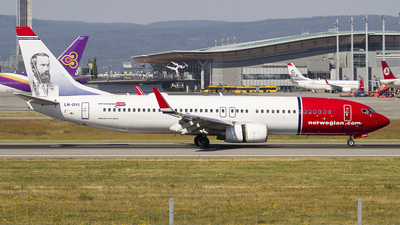 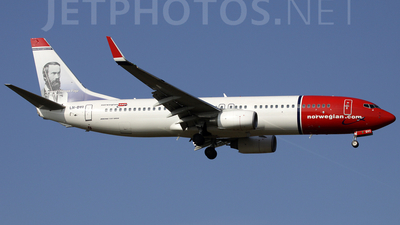 Note: Norwegian LN-DYI On 19L At OSL. 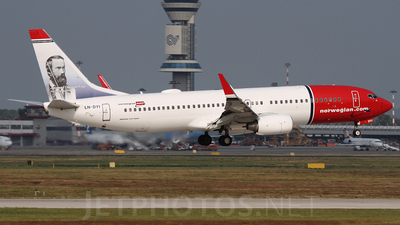 Note: Looking great, in this late afternoon winterlight, when touching down on the Polderbaan. 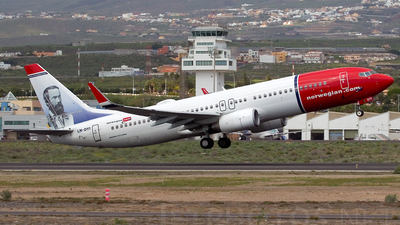 Note: Short finals rwy 03L. 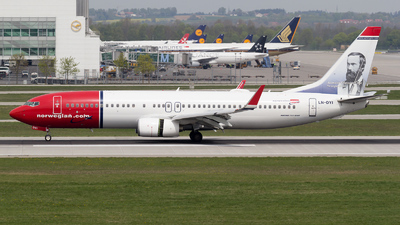 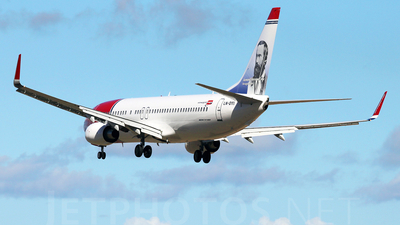 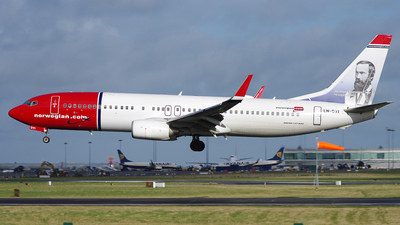 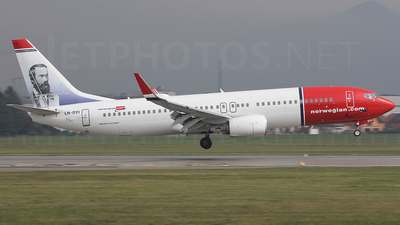 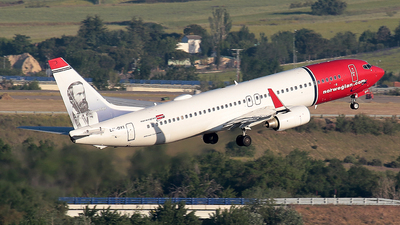 Note: Norwegian LN-DYI Takeoff from 01L At OSL. 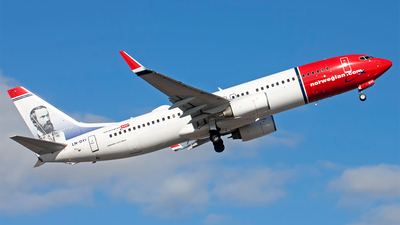 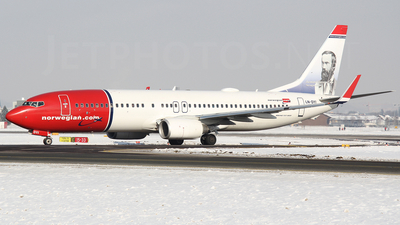 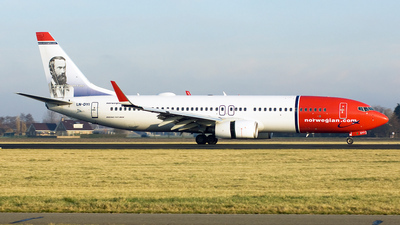 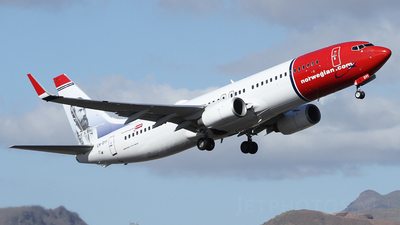 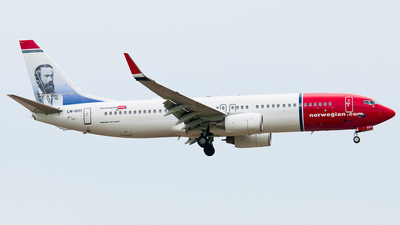 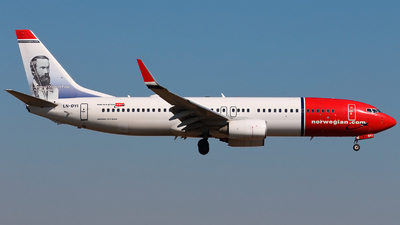 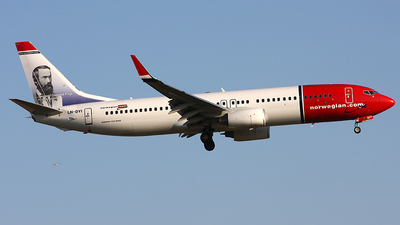 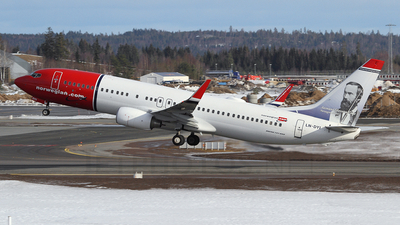 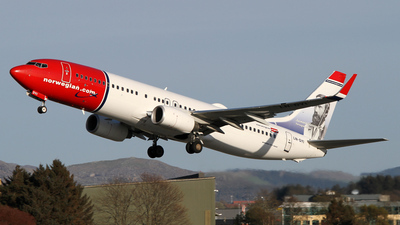 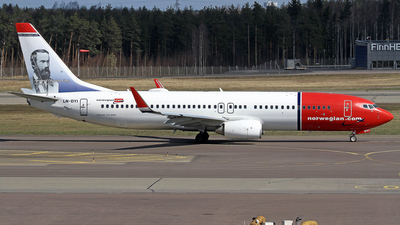 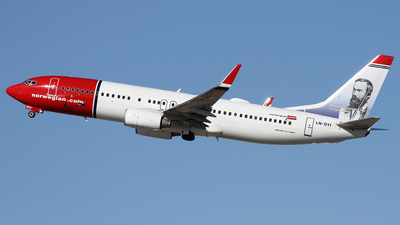 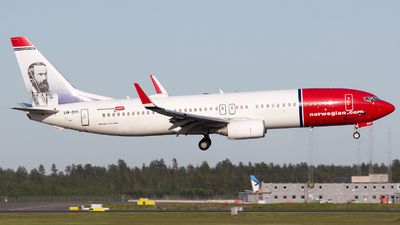 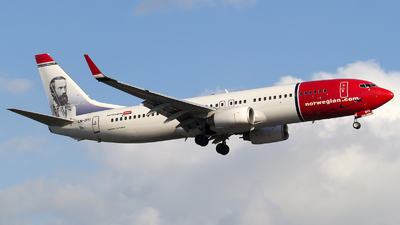 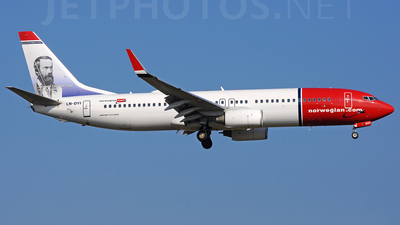 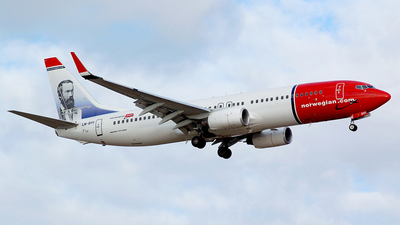 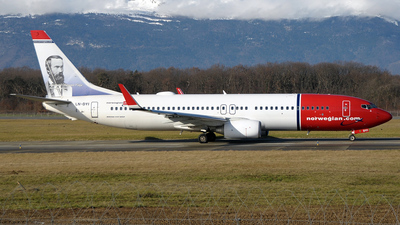 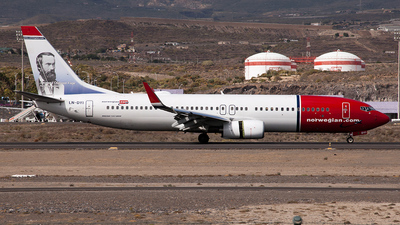 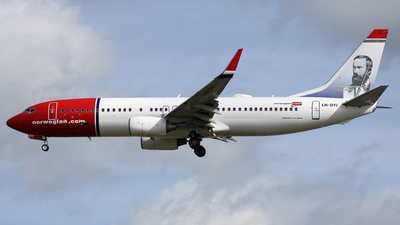 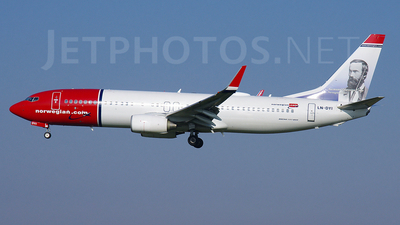 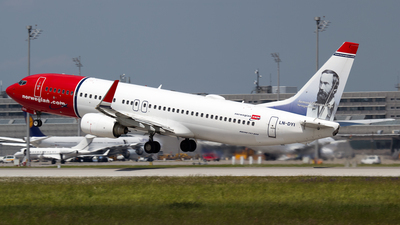 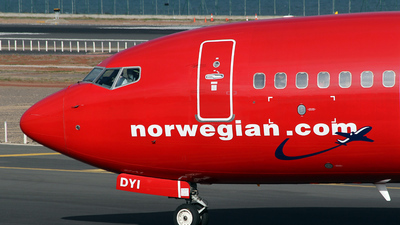 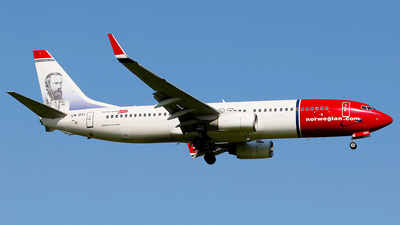 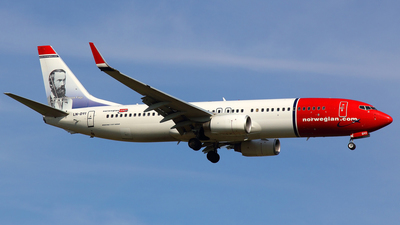 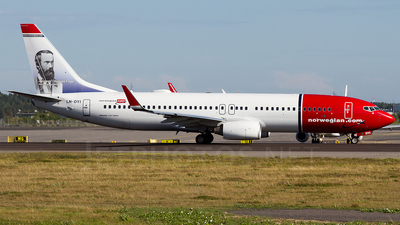 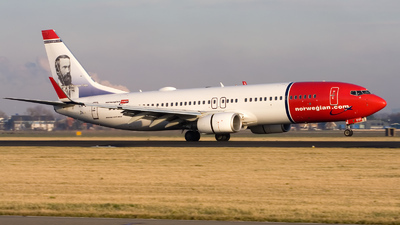 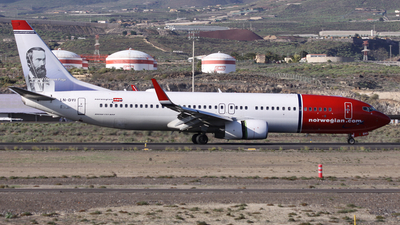 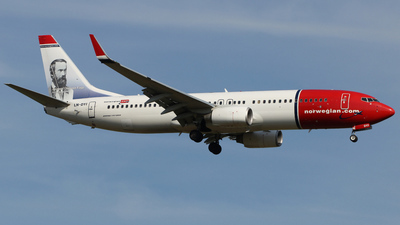 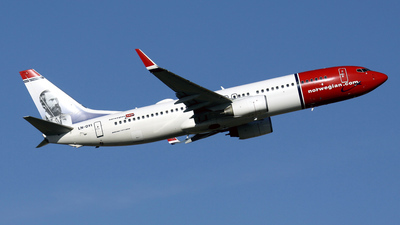 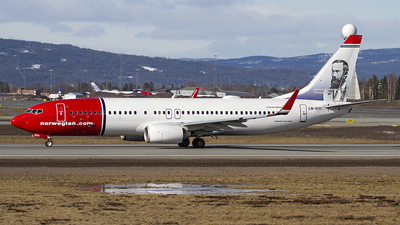 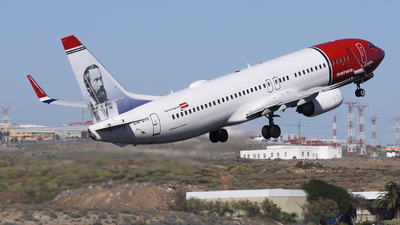 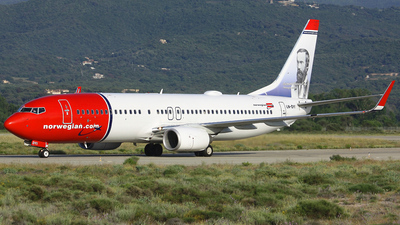 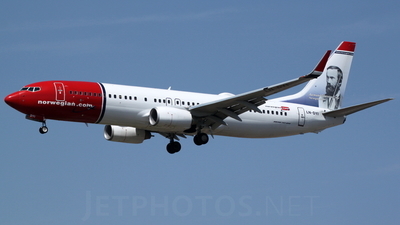 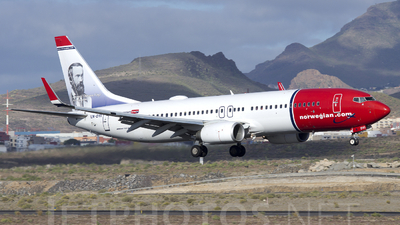 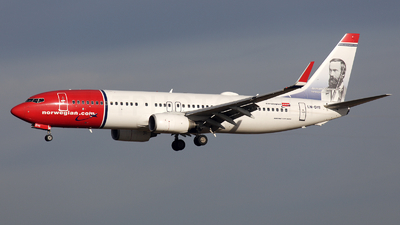 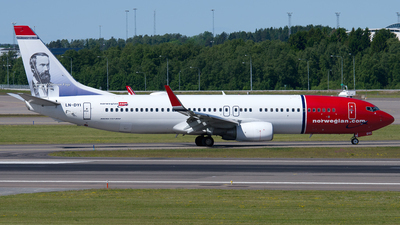 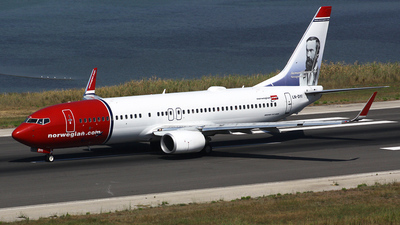 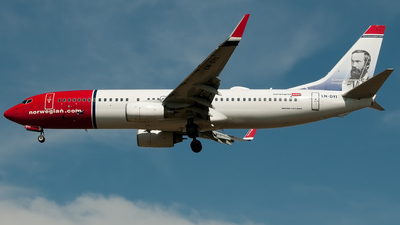 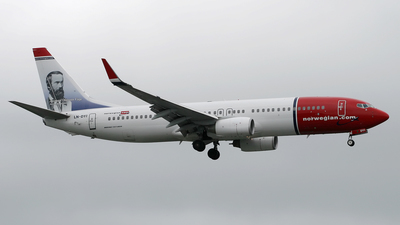 Note: This is the first Norwegian Flight to Ajaccio. 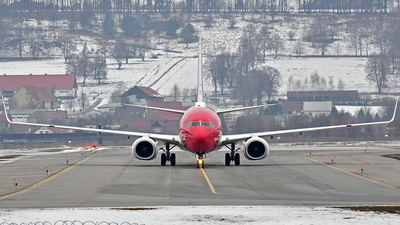 Note: Ready for departure from runway 22R. 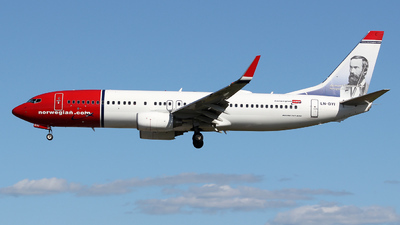 Note: "Aasmund Olavsson Vinje". 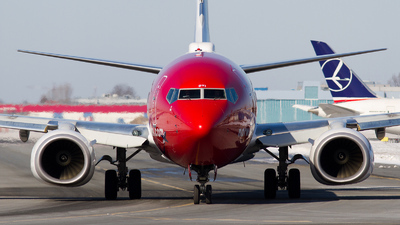 All in shadow except the bird.